We’ve gathered some of our most frequently asked recruitment questions below. If you can’t see the information you’re looking for please get in touch. Christmas is a great day in resort, everyone helps out so that it is a day to remember for the guests and team. The atmosphere is fantastic. Santa comes to visit making his way through the trees on his sledge, the children sing carols while the adults enjoy mince pies and mulled wine. The whole team helps with the festivities and preparations for the full turkey dinner and once the guests have settled down in front of the fire the teams retire for their own Christmas dinner and celebrations. Yes, we find it’s a great idea to have friends and family out to visit but we do ask that you arrange accommodation for them in the village or a nearby resort. Our staff accommodation is shared and it can become cramped and noisy if extra people stay. You will probably be sharing your accommodation with colleagues who might have different working hours and will not appreciate being disturbed by guests who can keep holiday hours. I haven’t got a DBS Enhanced Disclosure through the Disclosure and Barring Service – can I still work with children? No. We insist on all employees having an up to date DBS Enhanced Disclosure. If we offer you a position we will be able to apply on your behalf and at your expense for the DBS Enhanced Disclosure. All we need from you is some basic information. Every member of the team from the Company Directors to the Hosts, Cooks and Childcare staff are required to have an up to date DBS enhanced disclosure. Follow these links for detailed requirements DBS enhanced disclosure. Am I Insured if I get ill or hurt myself? Yes, we take out medical and personal liability insurance for you so that you can access emergency and non-emergency medical treatment. 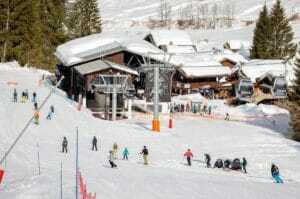 This also covers you on the mountain and if you need to be rescued from the slopes this is included in the insurance. You must have a valid European Health Insurance Card and you can find out more information and apply online here. I can’t speak French, will that hold me back? 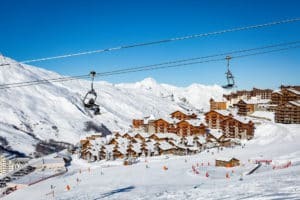 No, French speaking is not essential for most positions; with the exception of Resort Management roles and those in the Ski School, but if you do make an effort with the locals it is always appreciated. You will be in a foreign country and learning at least a few phrases is not only polite but also advantageous. All team members and the majority of our guests are English speaking so you won’t need to speak French to do your job. Will I have time to ski? Yes, all of our childcare staff are guaranteed one and a half days off per week although on quieter weeks it might be more. All Chalet Staff have one full day off to ski plus any mountain time they get during the day. Will I have to buy my own skis or snowboard? No, we will hire skis, boots and poles or board and boots for you for the whole season. This means you can enjoy learning to ski with your friends and go out whenever you have the chance. However should you wish to purchase or bring along your own equipment this is also possible and often discounts are available to seasonaires in resort. Do I get a ski pass? Yes, everyone gets a full-season ski pass to make the most of any free time by spending it on the mountain. I can’t ski but would love to work a season, can I still apply? Yes, most of our positions don’t require you to ski. In fact many of our team members have never skied before they come out and tell us some of the best days of the season were spent trying to work out how to get down the mountain. 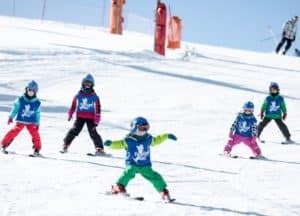 We also have great relationships with the local ski schools in each resort and the instructors will often give a few pointers or whole lessons free of charge to help you learn the basics. The only position where ski ability is really important is the Ski School Co-ordinator who is based with the ski school and will need to accompany skiers on to the slopes in the morning and afternoon. We take our training very seriously and know the investment in our team is very important. We want you to take away an in depth understanding of what we do and how we do it so you feel confident to provide the highest levels of service to our guests, whilst also of course bringing along your own personal skills and experience to help develop the Family Ski Company Product. Training starts with a week in the village of Ardent in the French Alps. We explain the history and ethos behind Family Ski Company, how we work, what we expect, and discover what skills and ideas you have and how we can incorporate them in the company. Qualified trainers will help all staff prepare for their winter season with the emphasis on practical skills which will actually help you to do your job. Cooks and Hosts will practise cooking and hosting three-course dinners to get to grips with their roles and to give them the confidence to entertain guests. Childcare teams have practical demonstrations, role play and planning sessions to prepare for the roles of Activity Leader, Childcare Nanny and Ski School. All of our Childcare team will be expected to arrive with an up to date paediatric First Aid certificate appropriate to children and infants while our hospitality teams should have completed a minimum Level 2 Food Hygiene qualification. We will then develop these skills to ‘our’ work environment with our Trainers to ensure you are ready for your season in the Alps. Whether you have heard about us from a personal recommendation through friends or family, seasonal job website, your own internet research; the first stage is to read our website to find out more about what we do. Decide which position best suits your skills and personality – consider whether your skills are suited to more than one role and apply for what you feel suits you best. Fill in the application form – this is your chance to tell us more about you and the reasons you want to work for Family Ski Company. We really notice those people who put the effort into completing the form correctly and fully. After we have received your application we will let you know it all arrived safely and process your application. If successful we will invite you to an individual interview to discuss the role in further detail. What is it like to work for Family Ski Company? Working a season with us is hard work but lots of fun. You will be expected to have a flexible and professional attitude and genuinely enjoy what you are doing. 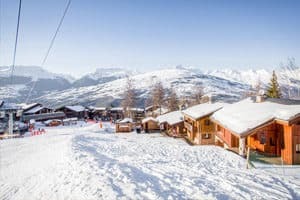 In return you will get to live and work in some of the most beautiful areas of the French Alps, make great friends and of course ski and snowboard. We have built up a good reputation in the industry as a caring and well managed company with a high level of respect for our resort teams. Both the company directors, Mike Byers and Lisa Dance, like to get to know all individuals and spend time with them out in resort during the season. The Operational Management team supports the Resort Managers who do their upmost to make sure things runs smoothly in each resort. Who are the Family Ski Company? 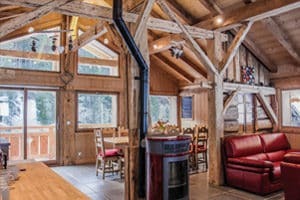 Family Ski Company specialises in providing catered chalet holidays with a flexible programme of childcare; our aim being to enable every member of the family to have a wonderful experience in the mountains. 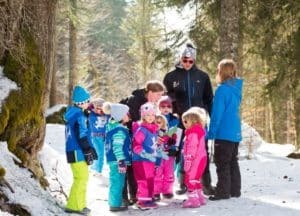 Founded in 1993 in response to a definite gap in the market for a company offering an excellent package of childcare as a priority for parents who wanted to ski, Family Ski Company has expanded over the years to keep up with demand and still continues to offer the flexibility and attention to detail that only an independent company can provide. 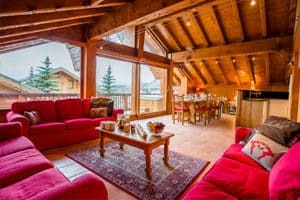 We offer a choice of nineteen separate guest accommodations in three of the top French skiing areas. Our chalets sleep families of four up to parties of 20, and are all within family-friendly villages with ski-to-the-door access. Each Resort has a crèche specifically for Family Ski Company children, and all of our properties are equipped with everything parents need for a holiday with babies and children. The Company Directors, Lisa Dance and Mike Byers are very actively involved within the company on a day to day basis. A lot of care is taken when putting together our resort teams, and we are extremely proud of them. They are of a high calibre and genuinely enjoy looking after our guests providing a relaxed, professional and caring environment for all ages. Through experience we are aware that working a winter season is very demanding and although we expect high standards from our teams, for those who are dedicated and enthusiastic about working with Family Ski Company then there are some great employment opportunities and rewards. What package of employment do you offer? 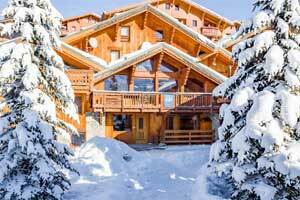 Family Ski Company provide their resort teams with an excellent employment package. This includes your food and accommodation, full season lift pass, ski or snowboard hire, uniform (including ski jacket), return transport from the UK to resort, medical and personal liability insurance. You will also receive a weekly wage paid into a UK bank account. All applicants must have a full UK National Insurance Number, UK bank account, up to date medical certificate and hold an EU Passport. To see all available positions - please scroll to the bottom of the page. We are delighted to work with The Orchards School of Cookery, The Wyld Cookery School and The Avenue Cookery School to help source our Great Teams.